When I visit family in Florida, I always fly into Tampa. 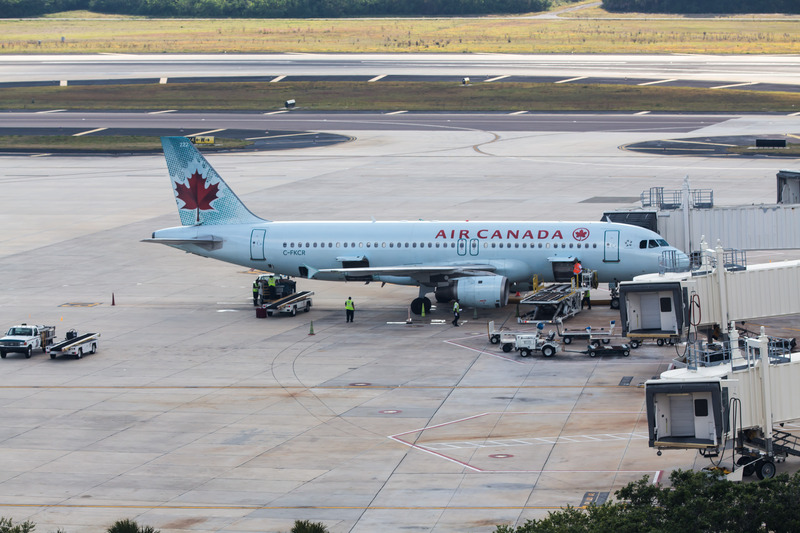 It’s convenient and honestly, it’s one of the best airports you’ll ever set foot in. Well laid out, a lot of choices pre-security to have dinner or a cup of coffee with family or business associates. Also, Tampa is very much PRO plane spotter/geek. 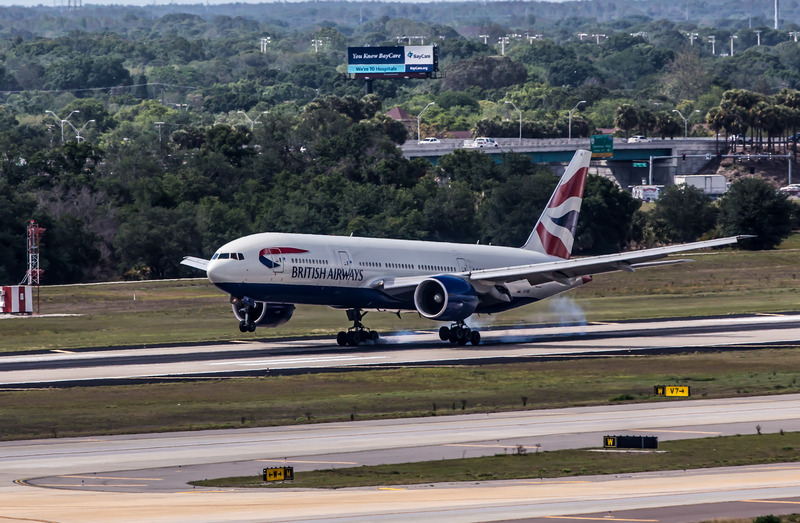 British Airways Boeing 777 touching down at TPA. This year I went a couple times, and I’ll be honest, you can go to the top floor of the short term parking garage, but if it’s hot out, make sure you pack some water and sunscreen. Unless sunburns are your thing. I actually was on the 7th floor of the garage and got some great shots. Not once was I bothered by police or security. Also if you get hungry you can take the elevator into the main terminal and there are a bunch of choices for food and drinks. 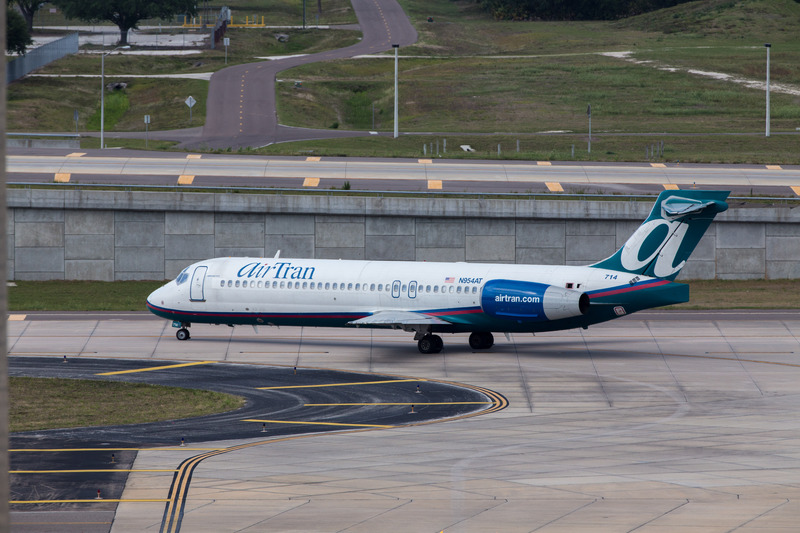 An AirTran 717 taxiing for departure at TPA. The short term lot provides you with great views of 36/18 left and right. Both were active and I had FlightAware buzzing to track the British Airways Boeing 777 that was coming in. You will need a decent lens to get landing shots, I had my 70-200 f/2.8L and a 2X converter. Even with that I had to crop a bit. Shots at the terminals are great, no need for the extender. You will get decent views of 18L and 18R landings and takeoffs, point of rotation is tough due to the American Terminal being in the way. I can’t really say one way or the other for anything departing on 36L or 36R as the 2 times I visited the airport, they weren’t in use. You can find them on Facebook and Twitter. More of my photos from Tampa can be found here.